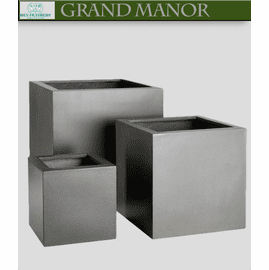 The Regent Trough Planter is a stylish addition to the HenFeathers Grand Manor collection of estate planters, urns and fountains. 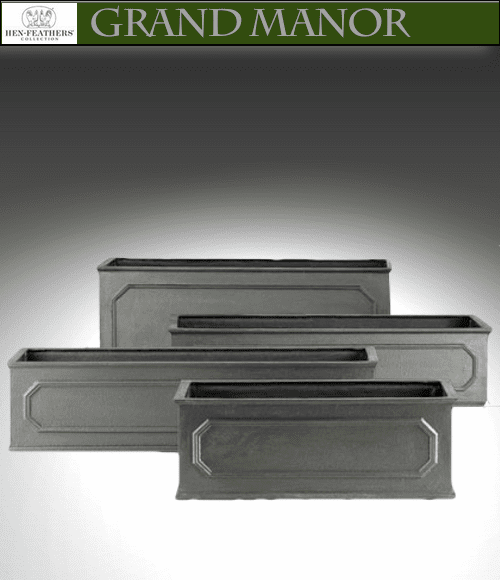 The Regent Trough Planters, shown here with the Regent Window Boxes are a sleek sophisticated design statement and a very popular design. With beautiful, but simple design, the Regent Troughs will fit in both traditional and modern settings alike compliment and are a great compliment to the entire Regent line perfect to mix and match. Meticulously hand cast and hand finished patina in extremely durable marine grade freeze proof fiberglass. Guaranteed outdoor durability. Special Order: Call for additional optional colors and sizes. NOTE: In the case of larger oversized items that require Truck/Freight shipping, there is a Freight/Truck charge based upon your location. Also available in additional speciality color finishes.